Goldfinch Birdbath. Glass with Vibrant Colors. 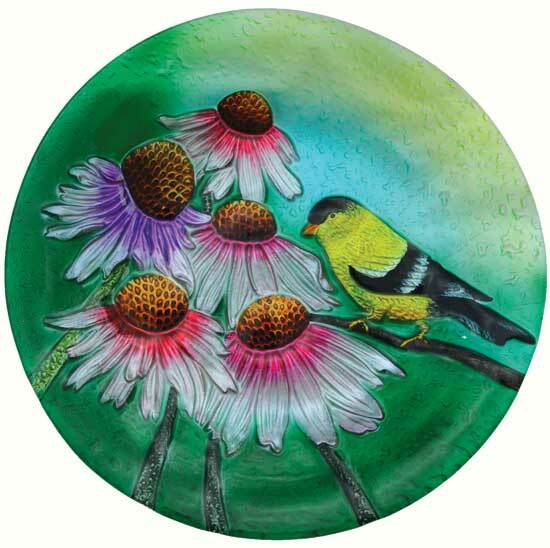 This glass goldfinch birdbath features a beautiful and vibrant colored goldfinch perched among some daises. 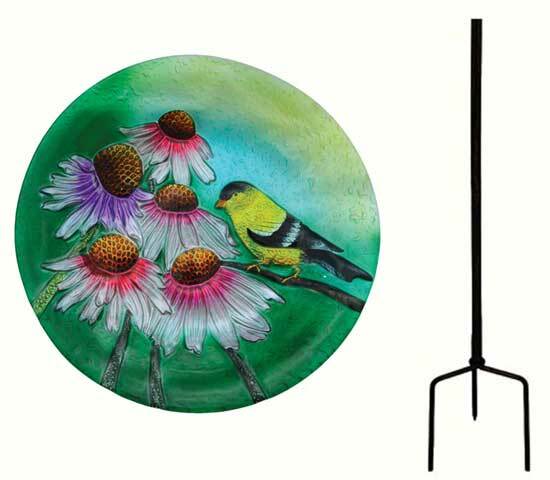 Available with a stand, stake, or hanging chain! Large 20 inches in diameter without stand. Songbird friendly with textured bottoms and correct depths. 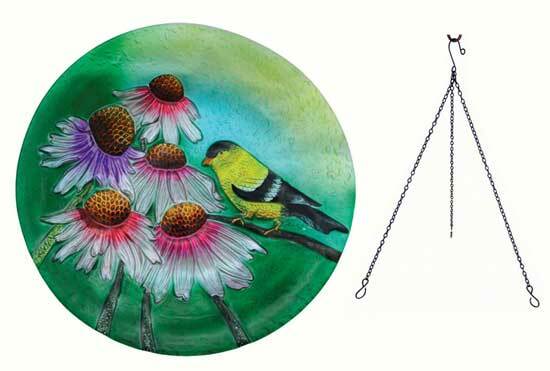 Glass design makes birdbaths weather friendly. 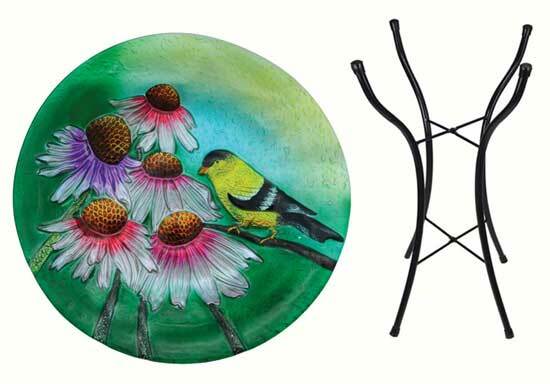 Attractive enough to display indoors, embossed with gorgeous and vibrant colors.